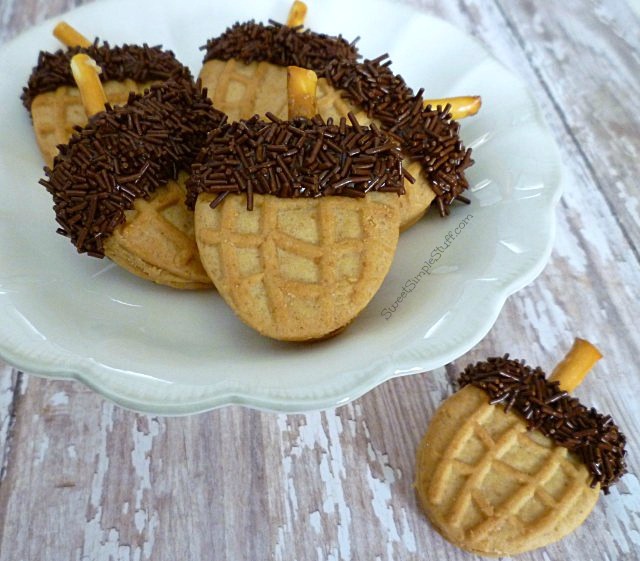 caramel, salt, chocolate and a cookie … need I say more? 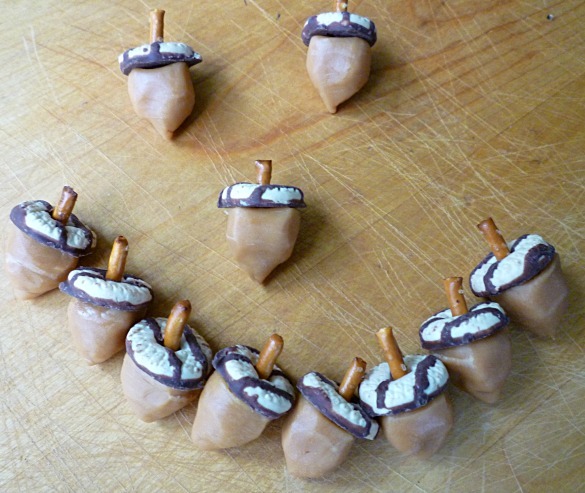 Unwrap a caramel and use your fingers/hands to form the bottom portion of an acorn. The kiddos can help … it’s like playing with Play-Doh. 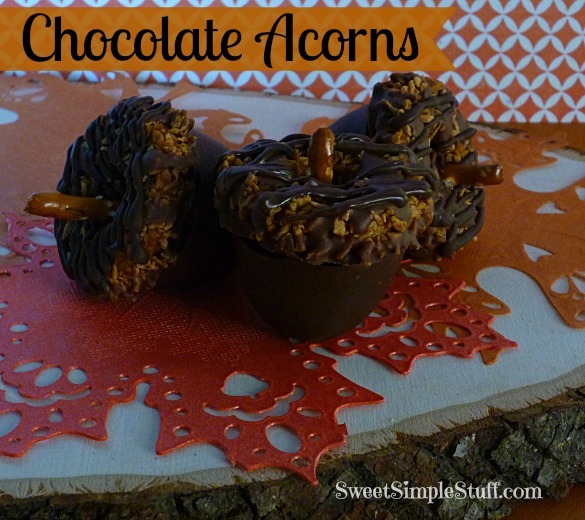 Place a cookie (chocolate side down) on top of the caramel acorn. 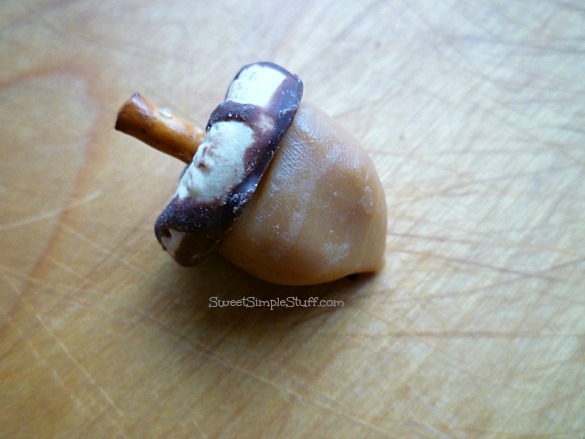 Insert a pretzel piece thru the hole of the cookie and into the caramel. 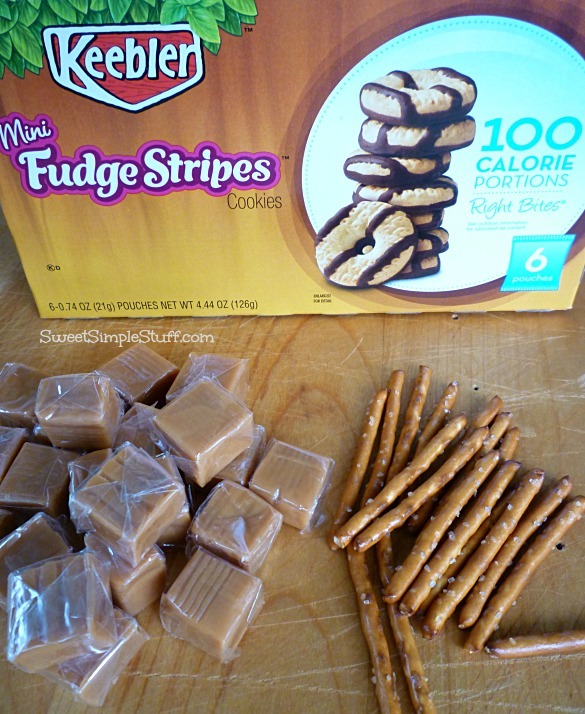 Reshape the caramel if necessary. Easy peasy!!! 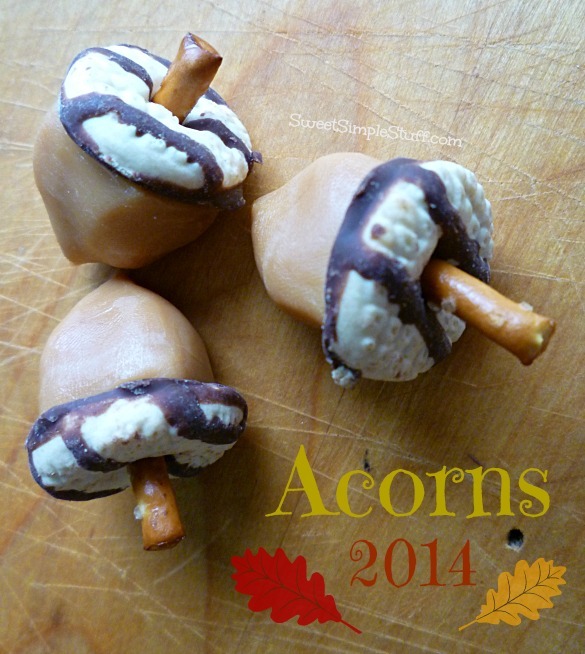 The kiddos also helped me arrange the acorns for photos. 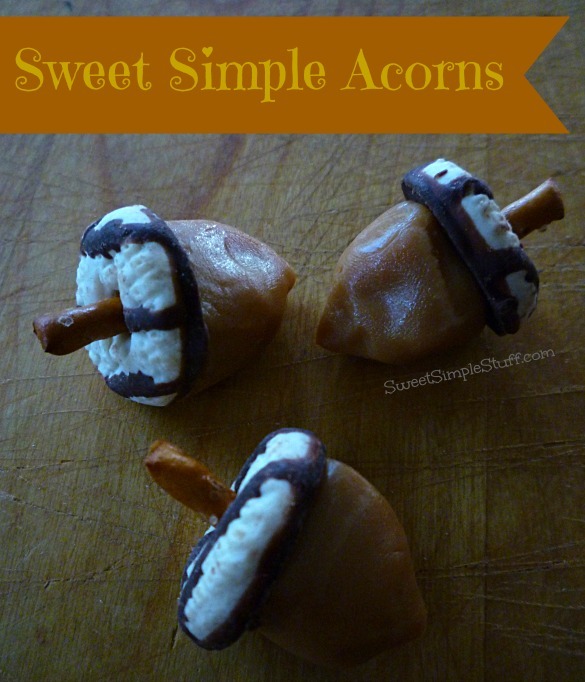 I made 12 acorns … grandma ate one before we could stop her! I’m happy to be home and looking forward to your comments! Am glad you are back!! It’s hard to decide which I like best. Looked at the ones from previous and they look pretty darn cute also! Photos of everyone in your family making them will be something they look back at years from now & enjoy all over again. Thank you Karen 🙂 Is it a long list?